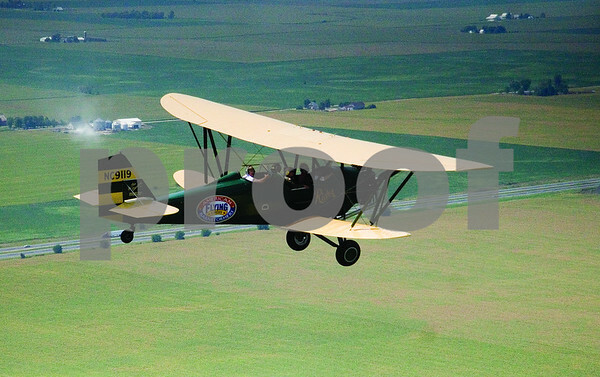 A 1929 New Standard D-25 biplane flies over the DeKalb County landscape on Friday, August 24, 2012. The biplane is one of 13 that will be part of the air fest at the airport during Corn Fest through Sunday afternoon. Four of those biplanes will be available to give rides to Corn Fest attendees.